On an aside Sanju Manju earns 1 million dollar a year for his pathetic commentary along with few other commies. It beats me. Why would they invest in these useless guys? Sam Curran is another bizarre choice. 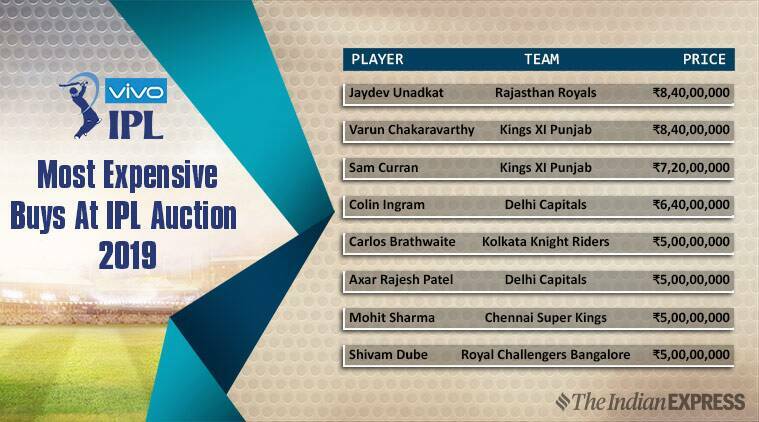 Between Varun chakra and Sam curran a whopping 15 plus crores spent by PKXI. Seriously Joe Root is that bad not to be picked by any team? What happened to Adam Hales? Also Mark wood has become much quicker now. Looks like CSK let him go. And they bought Mohit for 5cr instead. Mark wood have been a box office pick. He was clocking consistently 145k plus in West Indies. That's news to me. Seriously what are the team owners, scouts and coaches/mentors/captains smoking? The names you have put in OP are shocking, and this is after 11 seasons, so auction mistakes should have been eliminated by now. I am not sure about who all went under the hammer but surely more Bangladeshis and Lankans had to be picked, especially if they came with low base prices. I can imagine Mushfiqur, Mahmudullah, Sabbir, Mendis, Dickwella, Dananjaya etc having more impact than some of the goras especially in these conditions. Plus if they could be bought at 50L/1 cr you could easily build a strong bench of overseas players. Most importantly it opens a big market for the teams, merchandise, sponsors, brands, viewership etc. For instance Bangladesh will always be more invested in an Indian product like IPL compared to SENAW countries. With a sizable population (170 million + 20 million in India) and booming middle class, the one sport country would have been a great catch for a team like Kolkata, a city which also carries an emotional attachment for the neighbors. Wonder if these Aussie/NZ/RSA coaches are being nepotistic here. Also the people who run the league need to be more smart. Are Lankan players allowed to play in Chennai these days? I remember there was a ban on them a few years back. I don't think it exists anymore. We will see when MI visits there. Eliminated? If anything they have become more stupid now. They can still buy Wood as somebody's replacement, right? His base price was low.. Is he available during the IPL? If they can pick Mark wood they should. Otherwise on flat wickets this pop gun attack will be obliterated. LOL, is MI the only team with a Lankan player (Malinga)? Seriously how did the teams overlook so many other exciting talents from the island ? How on earth did they pay that much for Unadkutter..As soon as he comes on...batsmen heave a sigh of relief and smash him all around.. I remember @Global.Baba saying if Unadkat goes more than his base price he will retire from Icf and won't watch or follow Ipl . Rest might be preparing themselves by playing in their local tournament to make themselves available for the WC. Kusal Perera should have been picked..he opted out of IPL last time..not sure this year.. They are playing in domestic tournament to make themselves available for WC. Malinga was called in Ipl as Slc got bullied. It might be due to their availability this year see Root getting picked next year for some reason Ganguly is very impressed with Root might be bought by DC next year. That irritating Dockwella should be in ipl. Ipl needs some like him. 1 million USD? Seems far too much for a 1 month stint to be a part of a commentary team! 50 lakhs to 1cr INR seems more reasonable. That was a slower ball. Even bumrah got swept on a slow ball by much inferior batsman in tewatia. Some political parties were involved in the ban and as usual cricket is held at a ransom. There was no reaction from the public. who is Royal's left arm spinner? dont think they have any left arm spinner. They have Gowtham and Gopal. How Udadkut got record bids in both seasons is astonishing. He has to be the luckist IPL player in history. Terrible record, little international experience yet two times consecutive record bidding.